So, okay, while fiction isn’t real, specific dates in fiction often mean something to me. Silly, I know. But if you’re reading this, odds are you’re a book lover (or cyber-stalking me — stop it; that’s weird) and fictional dates in your favorite books mean something to you too. One year ago today, Dillan knocked over Miska and that rascal Mark Scheider. One year ago today, on a Thursday instead of a Friday, Dillan moved in with his brother, and life as Miska knew it began to change. Which means that one year ago from tomorrow, Miska and Dillan meet in Chicago’s Grant Park where Dillan wipes out in front of her. If you’re laughing at me, well, I can understand that. Thank goodness this conversation is happening over the internet and not in person! 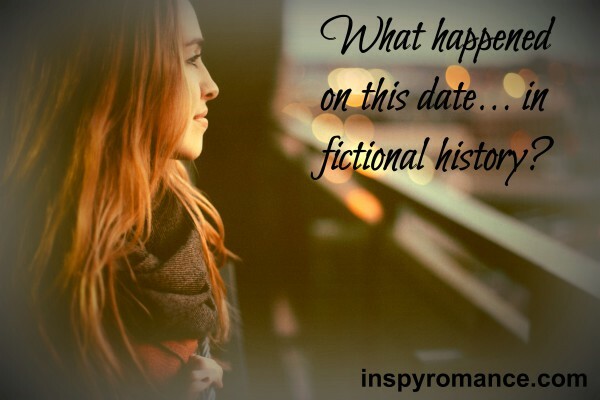 But if you’re not laughing and totally get me, share your favorite fictional dates. Like how many years ago did Michael and Angel meet? Anyone know that? How long has it been since Darcy and Elizabeth married? I’m sure someone has their anniversary down. How long ago did Christy start teaching school up on that mountain? How long has it been since Miss Marple solved her last mystery? How many years now has Anne-with-an-e been an adopted child of Matthew and Marilla? Hm? How long have your most favorite characters been together? Do tell! Make sure you give us the name of the book and the author. Goodness, tell us as much as you want! I’d love to hear it. In honor of Miska and Dillan’s knock-down-iversary, I’m giving away a Kindle e-book copy of Kept. You’ve got until Saturday noon, Central time, to leave a comment. Share this po st, tag me in it, and I’ll give you an additional two entries. One of my kiddos, probably my Hyper Diaper since he’s just learning to read, will draw the winner, and it will be announced in the Sunday edition. If you already have Kept and would love to give it to a friend, please comment! Just to be clear (read this crazy fast with words running together like they do on TV), this is my first giveaway. I hope I do this right. The winner needs to be able to get the book from Amazon US or receive the cost of the book via PayPal. I’ll only do the PayPal thing if you’re outside the US. If neither of those options work, man, I’m sorry. Let’s hope it doesn’t come to that. I’ve been hearing lots of wonderful things about Kept and have been curious about this book. I’m usually one to stay firmly within the box, so reading this sounds like I would be going outside it a little bit. The cover is nicely made too. Who does you cover design? And thank you for sharing! You’re in the drawing three times. Is it a little out of the box? Some readers say yes; some say no. It has characters–Christian and unsaved–who have sins they have to wrestle with. So it really depends what you’re looking for. It’s not a fluffy, escape-style novel, for sure. I’d love to win this for a friend, such a great book! “In the year 1912 … Christy Huddleston leaves home to teach school in the Smoky Mountains …” Apart from birthdays and anniversaries, I have a hard time remembering the significance of dates. 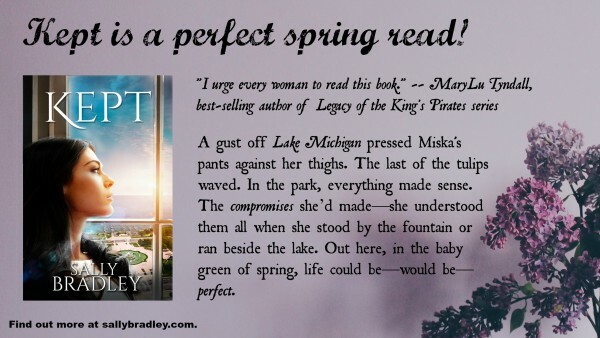 But you had me at Christy, my all-time favorite inspy novel. Great idea for a post, Sally. No need to enter me in the drawing as I’ve already devoured your fabulous novel. I just wanted to stop by and say ‘hello’. Wow! 103 years. I had no idea. Thanks for finding that, Heidi. And thank you for saying hi and for your oh-so-nice words. Have a wonderful weekend! I’m going to come from the TV series standpoint since I can’t really come up with a fictional book fact….I just learned that Sesame Street came out in November 1969, 9 months before I was born (August 1970). Captain Kangaroo and Mr. Rogers neighborhood was well before my time, but I watched as a small child (probably reruns), The Price is Right with Bob Barker first aired in 1972, 2 years after I was born…and on and on. Guess I’m really showing my age here, but I can see where numbers can play a role in life. Even in scripture you will find numbers repeating. I think God must be a mathematician (lol)! Trixi, your age isn’t much different from mine, so I’m going to say you’re young. :) I vaguely remember Captain Kangaroo, but I think that’s because we didn’t have a TV until I was several years old. Amazing how many classic kids’ TV shows began around the same time. I’d love to have a copy.. another May 1.. for the grandkids – Sponge Bob debut was on May 1, 1999..
April 1, 1960 was I Love Lucy’s final episode..